Veracode (U.S.), HPE (U.S.), Synopsys (U.S.), IBM (U.S.), WhiteHat Security (U.S.), Qualys (U.S.), Checkmarx (Israel), Acunetix (Malta), Rapid7 (U.S.), Trustwave (U.S.), High-Tech Bridge (Switzerland), Contrast Security (U.S.), are some of the prominent players profiled in MRFR Analysis and are at the forefront of competition in the Global Application security Market. The global application security market is growing with the rapid pace is mainly due to increasing monetary transaction through mobile application which consists of confidential information such as account details, banking and login details of user, which is propelling the application security market growth to the large extent. The increasing adoption of internet of things and bring your own device technology (BYOD) is driving the application security market. According to a recent study report published by the Market Research Future, The global market of application security is booming and expected to gain prominence over the forecast period. The market is projected to demonstrate a spectacular growth by 2023, surpassing its previous growth records in terms of value with a striking CAGR during the anticipated period (2018 – 2023). The market of application security appears to be highly competitive. To maintain their market position and to drive the market growth, various dynamic and diversified international organizations, domestic organizations and as well as new entrants form a competitive landscape. Market leaders are innovating continuously and increasingly seeking market expansion through various strategic mergers and acquisitions, innovation, increasing investments in research and development and cost-effective product portfolio. Major players are investing on latest technology and, most of all, in acquiring other firms. Segmentation by Component: Comprises Solution (Web application security, Mobile application security), Service (Professional services, Managed services) among others. Segmentation by Testing Type: Comprises Static Application Security Testing (SAST), Dynamic Application Security Testing (DAST), Interactive Application Security Testing (IAST) and others. January 25, 2018 – Signal Sciences went into partnership with Optiv Security, a market-leading provider of end-to-end cyber security solutions, to enable cloud and DevOps while protecting their most critical web applications. Jan. 30, 2018 – GitLab has acquired Gemnasium, a company offers software that help developers mitigate security vulnerabilities in open source code. These companies are looking forward for the expansion of their product portfolio by implementing robust security scanning functionality. Jan 23, 2018 - Sumo Logic has went into expansion by acquiring of FactorChain a security startup, to offer security toolset. With this acquisitions, the company is offering an innovative solutions of converges operations and security in the cloud. North America is dominating the global application security market with the largest market share due to the increasing adoption of advanced technologies and presence of major market players, which is gaining demand in application security market in these region, and is expected to gain growth by 2023. Global application security market in European market is expected to grow at a substantial high CAGR during 2018 to 2023 due to the high adoption of application security solutions in developing countries. The Asia Pacific market for application security market is expected to grow at a considerable CAGR (2018-2023). This MRFR study presents a forecast of the global application security market for 2018-2023. The primary objective of the study is to identify the current technology trends in security apprehensions and significance of application security solutions. The study identifies that web application security and mobile application security are two major application security solutions currently utilized. The study also covers service types (professional services and managed services) for application security. Revenue analysis based on testing type incudes Static Application Security Testing (SAST), Dynamic Application Security Testing (DAST), and Interactive Application Security Testing (IAST). Application security deployments such as on-cloud and on-premise are also discussed at length. Organization size considered for the study inclue large enterprises and SMEs. End user sectors for application security include BFSI, IT & telecommunication, government & defense, healthcare, retail, and education. 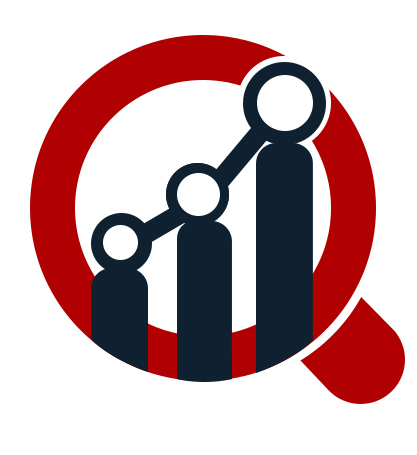 Historical market trends, market dynamics, forecast, market value by region as well as by segmentation, country-level analysis for each market segment, key player’s market share analysis and market factor analysis which covers supply chain and Porter's five forces analysis of the market.